“To the victor belongs the spoils,” or so the old adage goes. For Howard M. Lorber, chairman of Douglas Elliman, the largest residential real estate brokerage in the New York metropolitan area and the third largest real estate company in the United States, with more than 70 offices and 4,000 real estate agents, the saying might be better worded this way: “To the successful investor belongs the best real estate.” For on this small island of ours, perhaps no one better symbolizes the dynamic, red-hot property market of New York than Lorber. From his sky-high office overlooking Central Park, and from his posh soon-to-be-completed apartment at 432 Park Avenue, Howard Lorber has a literally unobstructed view of all the trends of the New York real estate market. Further, it doesn’t hurt that he has also acquired a lifetime’s mastery of the art of discerning the desires of the buyer and seller, whether they be local or international clients. 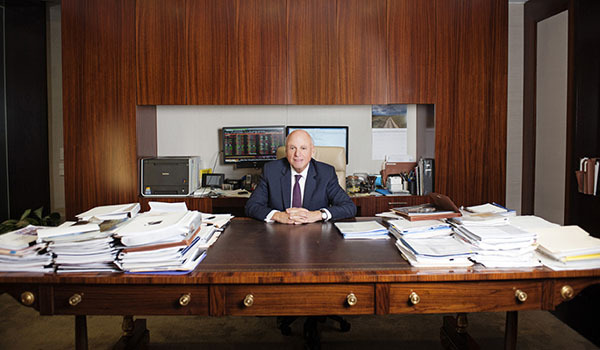 As editor of Resident, I recently had a rare opportunity to sit down with Lorber in his office aerie for an intimate interview and photo shoot. To date, this was the most technically inclined interview I have had the pleasure of conducting. 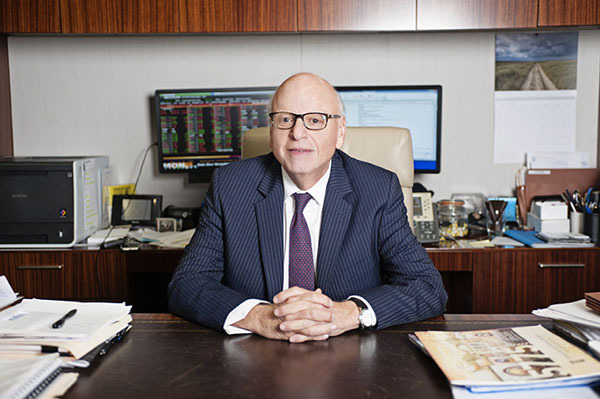 As I quickly learned, and as our readers will too, there was much to be learned from Lorber, one of today’s top titans of real estate. RESIDENT: How long has Vector (the conglomerate that owns several companies and which Mr. Lorber heads) owned Douglas Elliman? 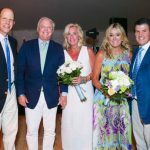 LORBER: We invested in the company, which was then called Prudential Long Island Realty owned by Dottie Herman and a former business partner of hers. It was struggling, and so I came in, made an investment into the business and eventually bought out the other partner, and Dottie and I turned it around. 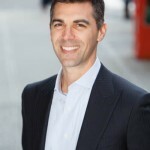 Once we were into the growth phase for Prudential Long Island Realty, our strategic objective was to enter and then grow our position in New York City. It was at this point that I learned that Andrew Farkas, who controlled Insignia Financial at the time, was looking to reshuffle his investment portfolio, in which one item was the Douglas Elliman business. I ended up calling Farkas and purchased it from him. 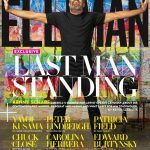 R: How long has Douglas Elliman had a presence in New York City? L: Douglas Elliman has been around since 1911, but we purchased it in 2003. R: As chairman, what is your level of engagement in the business? L: As the Chairman of Douglas Elliman, I am very involved in new development, marketing and sales. My team has invested in residential as well as commercial projects. My primary focus is dealing with Douglas Elliman, helping to recruit brokers, working with existing brokers, and obviously trying to bring in business. 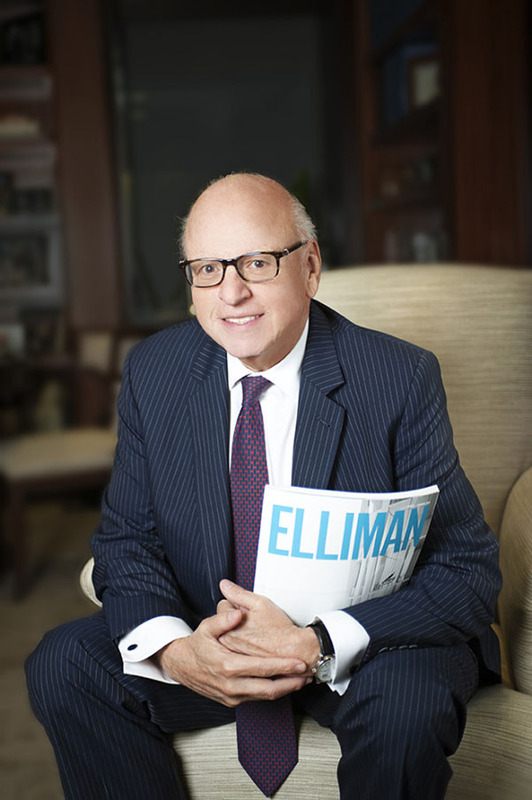 R: Is Douglas Elliman really the largest brokerage house in New York? L: Yes we are. If you look at the broader picture across the whole country, we have been ranked as the third largest, and the other two are companies that have franchises throughout the whole country. 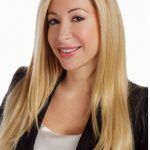 Right now, Douglas Elliman is in Manhattan, Queens, Brooklyn, Nassau County, Suffolk County, the Hamptons on Long Island, and Westchester County. I was also instrumental in opening in South Florida, since I have been living there part-time for many years. We are now in Miami, North Miami, Fort Lauderdale, Boca Raton and Palm Beach. We also recently opened offices in Los Angeles, and we will be opening shortly in Aspen, Colorado and Greenwich, Connecticut. 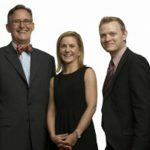 The strategic reasoning behind our geographic expansion is that we want to be where our clients go, whether for vacation or because they own a property in these locations; Californians buy houses in the Hamptons and apartments in Manhattan, and Hamptons’ residents, when not enjoying the summer scene, are living in the City. The same people buy in Miami or Palm Beach. There are also a group of them, from both coasts, that purchase in Aspen. So it is a “Round-Robin” situation, watching and following where these people go to provide them real estate services wherever that might be, from our brand that is widely recognized and trusted. R: Do you see Douglas Elliman becoming a national brand? L: The Douglas Elliman name definitely resonates with all of our customers, and they do go to our many locations. In addition, we recently finalized a partnership to conduct our international business. R: What does that partnership deal entail? L: Knight Frank and Douglas Elliman are now partners, which provides our clientele access to their 400 offices in over 50 countries. R: So there are no franchises for Douglas Elliman? L: Correct: There are no franchises for Douglas Elliman, and no franchises for Knight Frank. Both companies own all of their offices. R: What do you think are the overall trends for real estate in New York; it seems to still be a very hot market? L: It is still a very good market. Land prices and the cost of development have gone up dramatically in the last year or two. It is all about supply and demand. Developers are paying big prices to develop new sites. Obviously Downtown is booming. I think that, contrary to general impressions, there are not quite as many international buyers as people may believe, but they have been focused on acquiring condos because co-op boards have tougher standards with international buyers. We are definitely seeing international buyers for condo developments, especially around Central Park. R: Do you think international buyers are driving up prices? L: What really helps drive the prices up in New York City are the financial buyers, successful hedge funders and investment bankers—those are the ones that made huge money in the last few years, and they remain equally as important as international buyers. R: What are the trends in actual building construction in terms of what’s being offered? L: You have to be careful size-wise; people always desire physically larger apartments. So as a consequence, there are currently a lot of projects that feature big apartments. 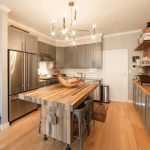 When designing apartments, it is important to be careful, not only of the price per square foot, but also total unit size. I am not talking about the $50- to $80-million-dollar ultra luxury units; I am talking about the $2- to $10-million range. There is only so much a buyer wants to pay for a one- or two- or three-bedroom apartment. In designing an apartment, it is important to make the units very efficient size-wise. R: Do you think that 6,000 new apartments hitting the market will impact Manhattan’s real estate landscape? L: Not all 6,000 apartments will be going on the market at the same time, and if you look at the inventory, their coming online will not make a big change. Again, much of the process is going to be about designing the units properly and making them attractive to a wider range of buyers. I do think that there will always be buyers across the spectrum of the market. R: What do you think of the comments that apartments are becoming smaller? L: You can make apartments much more efficient. When you lower the physical size, you can also lower the total unit price and make these units more affordable. In addition, mortgage interest rates are at the lowest they have been in many years, so now is a great time to buy. R: When is the right time to buy? Is there a time to buy? L: People make purchases when they have to, or want to, and it just depends on individual circumstances. There are still times when you can find decent deals in the resale market, especially if the property requires renovation. But at any time there is always something you can find, especially since interest rates are so low. This is a great time to buy since money is, relatively speaking, inexpensive. R: Are most purchasers, with whom Douglas Elliman deals, cash buyers? L: You generally do not have contracts, which allow for mortgage contingencies in Manhattan; it has been a very hot market, and sellers do not want to wait for someone to obtain a mortgage. On the other hand, we find that a lot of buyers, during the process, do get a mortgage. Even at the high end, we have people who want to spend their money to make more money in other investments, so they go to their banks and get a mortgage. So there are definitely new mortgages being written at all levels of the market. R: How is the sales effort proceeding at 432 Park? What other marquee properties is Douglas Elliman marketing? L: Of course, 432 Park is doing very well: It is a phenomenal building. It was just topped off last week. Sometimes coming back from the Hamptons, or from New Jersey you can see its distinctive silhouette on the skyline. It really changes everything and is genuinely a masterpiece. In addition, we are just completing the conversion to condominium of 11 East 68th street, which was a pre-war rental building on 68th Street and Madison Avenue. Great location, pre-war and beautiful apartments. We are marketing them very successfully. We also opened a new project in Midtown on 52nd between 6th and 7th Avenue, which was the former site of a hotel, and it has been completely renovated into condos. R: Do you think there’s anything under the radar that’s exciting? L: In the Internet Era, there are no areas “under the radar” really, but I will say definitely the Financial District, with Conde Nast moving there in the next few months, will help reshape the neighborhood. There are also new private schools opening Downtown and high end retail. In many respects, it is going to be a less expensive investment than many of the hippest parts of Brooklyn.